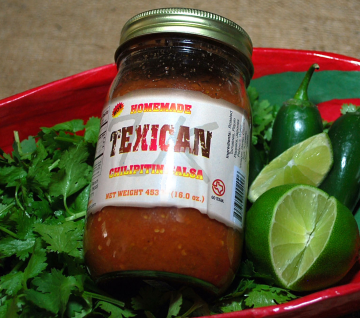 Homemade speciality chilipitin sauces from the world famous Dixie Dude Ranch in Bandera, Texas, the Cowboy Capital of the world. 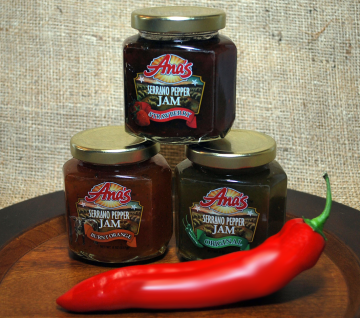 Pepper Jams, "sweet with a little heat" in 7.5 ounce jars. Flavors: Strawberry, Burnt Orange, Peach and Original. Spread on crackers with cream cheese for a delectable hors d'ovures or warm and pour over ice cream to make that special dessert. We also carry Ana’s Dried Herbs, an international, award-winning seasoning that combines 8 herbs and spices for a rich aromatic Italian seasoning. Ana's HerbsTM is an all natural blend, low in sodium and has no MSG or preservatives. Greek oregano, rosemary, imported sweet leaf basil, and other spices are the perfect seasoning for chicken and beef or add lite olive oil for a great hors d'oeuvre.